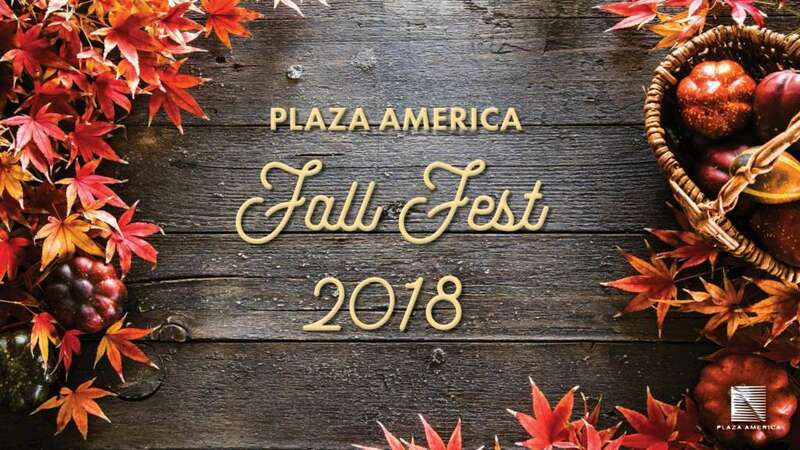 As fall season descends onto the area, Plaza America will host a fall fest in the retail area of the plaza this weekend. The event is set for Saturday (Nov. 3) from 11 a.m. to 1 p.m. at Plaza America (11700 Plaza America Drive). The second annual event will include sweet treats, fall-themed arts, and crafts and a petting zoo. Other activities include pumpkin bowling and face painting. Fairfax County voters will be asked to vote on a $182 million public safety bond question on Election Day (Nov. 6). If approved, the county will sell general obligation bonds to fund renovations, expansions, and the replacement of fire, police, sheriff and court facilities. 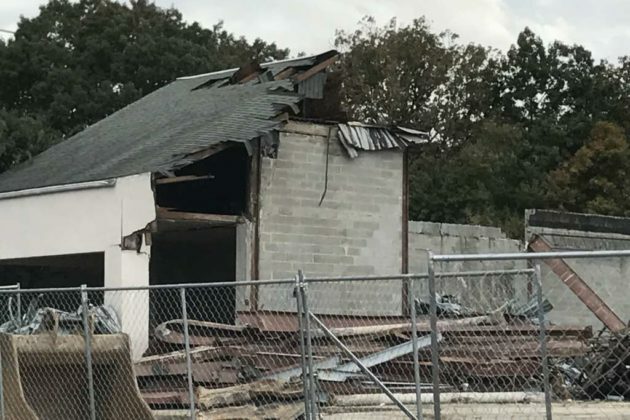 The heftiest of the bond referendum is nearly $73 million to replace four fire and rescue departments, which are located in Mount Vernon ($16 million), Fairview ($16 million), Gunston ($13 million) and Seven Corners ($13 million). Each facility is at least 37 years old. An additional $15 million will be used to expand another volunteer fire station. Roughly $59 million would be allocated to renovate and upgrade the Mason District Police Station ($23 million), renovations to the Criminal Justice Academy ($18 million), and upgrades to a police evidence storage building, which is used to store evidence for the court system. The courts and adult detention center would also see an additional $50 million in funding. Security systems and major building systems in all three wings of the center need to be replaced, along with nearly $5 million for upgraded lighting, ADA-friendly facilities, and technology updates to the Jennings Judicial Center. More information about each project is available online. 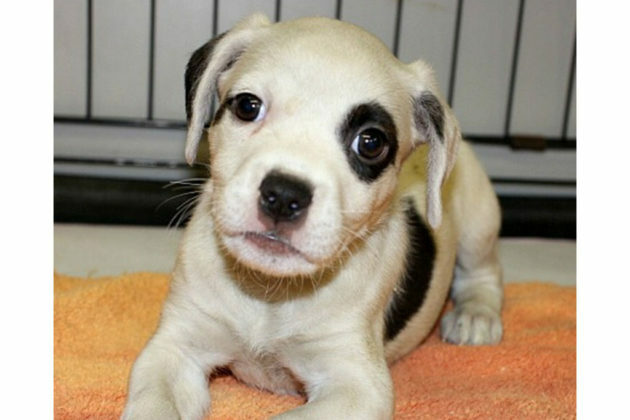 Meet Jack, a retriever mix available for adoption locally. 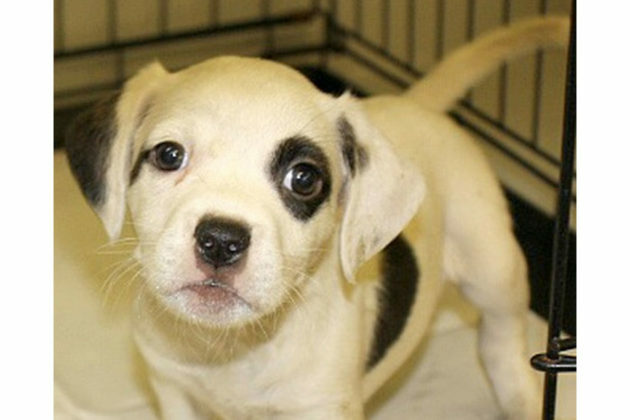 Jumping Jack is such an adorable puppy with that cute little face. At six weeks old and about 6 pounds we think that he is a retriever mix. He will most likely be a nice medium/large size guy when full grown, perhaps around 50 pounds. 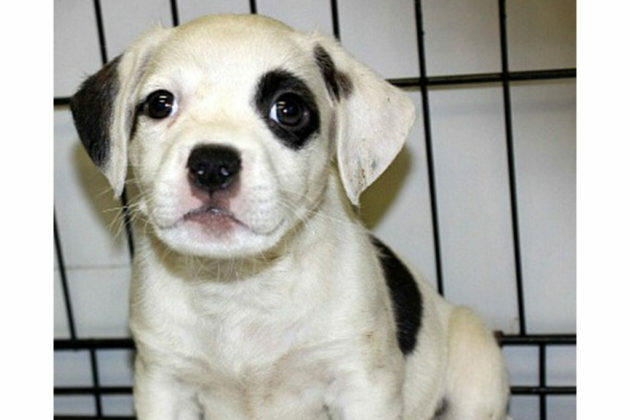 This great little guy is a nice friendly affectionate puppy that loves to play and gives great puppy kisses. 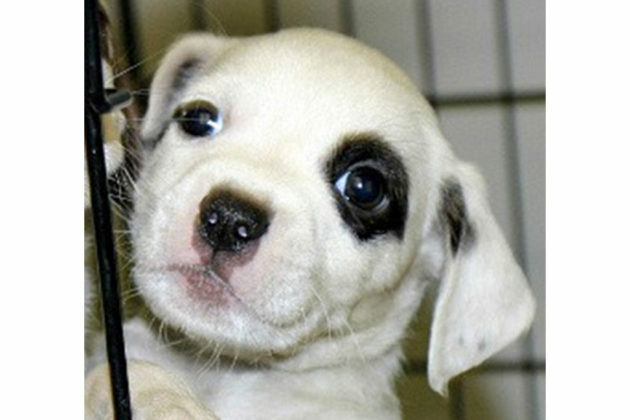 He can’t wait to meet his new family with whom he can grow and learn. Are you and Jack a match? If so, let us know and our sponsor, Becky’s Pet Care, will send you some treats and prizes. Another local business is leaving Elden Street. 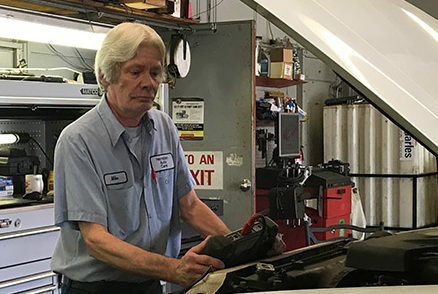 Herndon Auto Care, which offers auto and light truck repair and maintenance services, will move from its current location at 1131 Elden Street to its sister shop in Sterling, the Dulles Shell Service Center. The address of the new location is 45410 Holiday Drive. 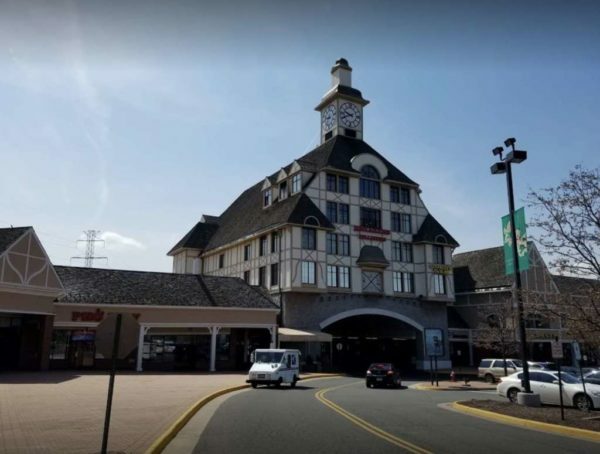 A business representative told Reston Now that the move was prompted by lease expiration. 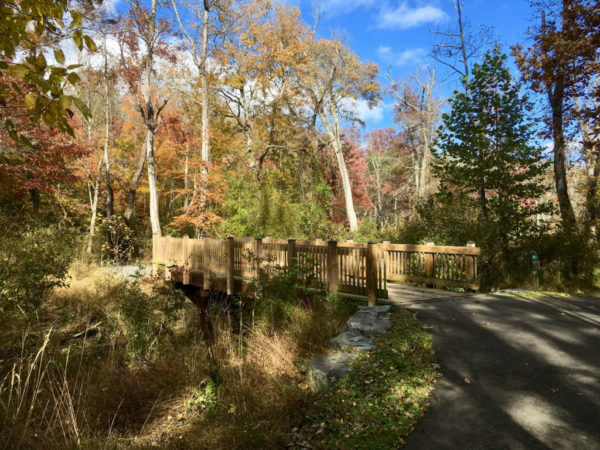 As deliberations on next year’s budget continue, Reston Association is holding a public hearing to get feedback from members next week. The hearing is set for Nov. 8 (Thursday) at 6:30 p.m. at RA’s headquarters (12001 Sunrise Valley Drive). The draft budget is available online and includes a possible $28 increase in assessments. RA’s Board of Directors is also contemplating a number of policy directives, including passing on credit card fees for processing members’ and nonmembers’ payments from the organization to individuals. Other issues before the board include expanded health benefits for employees, overall compensation packages and merit-based salary increases. The first year of the 2018-2019 budget was approved last year. The second year will be approved by the board in mid-November. Giant Food is opening a new location in Herndon, according to an announcement by the company today. The new grocery store is located at 2425 Centreville Road and will open on Nov. 9. It takes up space formerly occupied by Shoppers. Customers who shop at 1228 Elden Street will not experience any interruption in service due to the opening, according to company officials. However, the company does plan to shutter the Elden Street location at Elden Street Marketplace soon. 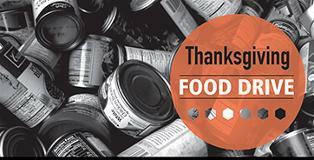 Three local organizations are working together once again on the annual Thanksgiving Drive, which helps families in need of food. Individuals, businesses and organizations are encouraged to drop off non-perishable food and other essential items as several drop-off points throughout the area. This year’s drive, which is organized by Reston Community Center, the Greater Reston Chamber of Commerce and Cornerstones will run from Thursday (Nov. 1) through Nov. 19. 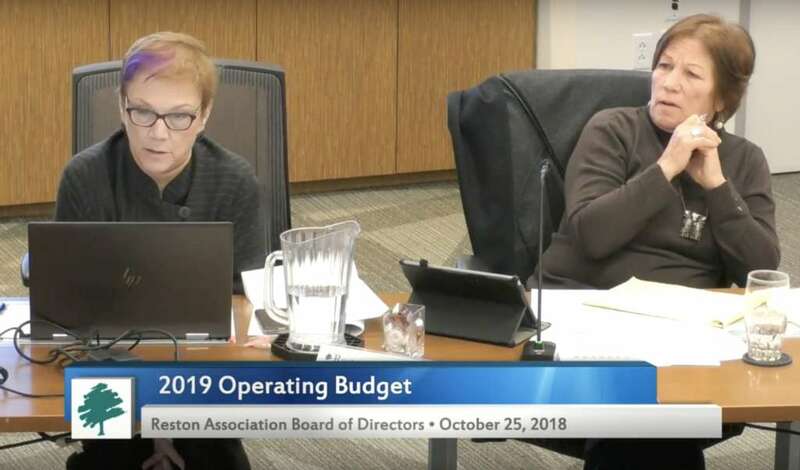 Reston Association members could see their assessments go up by around $28 next year as the Board of Directors continues budget deliberations next month. The decision to increase assessments is not final and will be determined by a number of factors as the board mulls several policy decisions, including health care benefits for staff, ahead of the Nov. 15 adoption. The increase is driven primarily by a new $60,000 reserve study required by law, $43,000 in new professional administrative software, $20,000 to dechlorinate pools and $250,000 in unanticipated lease payments for RA’s headquarters. Healthcare costs are also expected to increase by $65,000 and an average 2.3 percent merit-based increase for full-time and yearly part-time employees for the year is also anticipated. RA’s Acting CEO Larry Butler said the staff is working hard to maintain cost-savings cross all departments and limit the need for assessment increases. In an effort to reduce expenses shouldered by RA, the board is also considering passing on the cost of credit card convenience fees to members and nonmembers, a roughly $180,000 yearly expense that is currently paid for by RA. The motion to include the decision in the next draft of the budget passed with a 6-3 vote, pending staff assurances that the system to implement it could go into effect by Jan. 1. Board members Sridhar Ganesan, Sherri Hebert, and Ven Iyer voted against the measure, which they characterized as an equity issue. “It’s just not fair, without any notice, to put members on this… not everybody has $700 in their bank account to pay for this,” Iyer said, referring to payments of RA assessments. Others said RA should look into allowing online bank deposits. Currently, physical checks are accepted in lieu of credit card payment. After some spirited debate, five members of the board voted to begin charging for financial updates requested by lenders, allowing RA to dip into roughly $60,000 in anticipated fees paid to RA for the service. Finance staff would have to provide documents within three days of the request date, per state law. The board also struggled to grapple with how to handle healthcare premiums contributions, cost sharing for health services, and merit-based bonuses for staff across the board. Overall, the board concurred that RA’s healthcare package was too generous compared to the marketplace and competitors. Hebert challenged the need for merit-based increases and generous benefits packages, noting that top-level vacancies and other openings in RA are not triggered by a lackluster benefits package. “We are responsible to the membership first,” Hebert said, adding that attrition of RA’s staff may allow “new blood” and new ideas to enter the organization. Others pointed to a larger issue about RA’s budget: staff expenses and compensation. Based on Ganesan’s research, salaries for RA’s staff increase by 36 percent between 2010 and 2018, more than half of the increases given to Fairfax County government staff. In that time period, assessments went up by 34 percent. 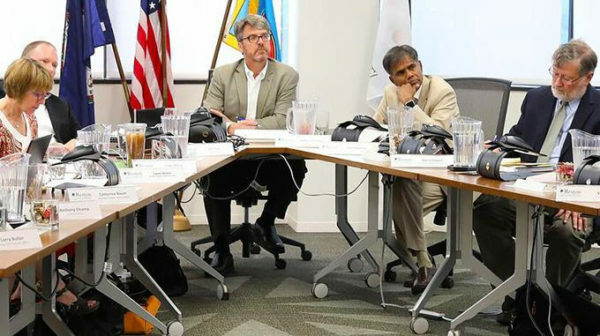 Ganesan and John Bowman noted that RA’s staff costs stand at a staggered 67 percent of the total budget, channeling the board’s overall consensus that RA’s new CEO will need to spearhead a complete review of staffing, compensation, and benefits. The first year of the 2018 budget was approved on Nov. 16 last year. RA operates on a biennial budget, which is divided into the operating and capital budget. Assessment rates are calculated based on the bottom line of the two budgets. 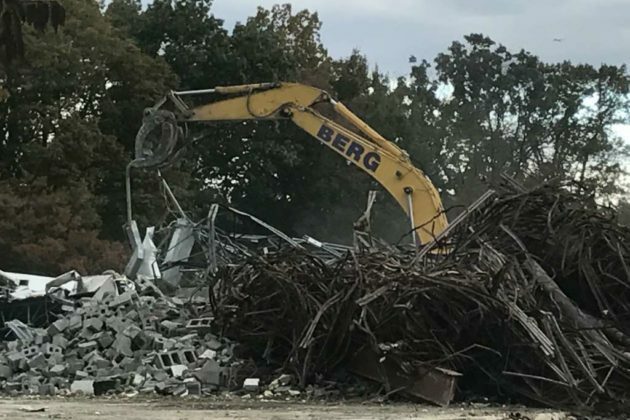 Scattered pieces of the skeleton of Tall Oaks Village Center (12022 North Shore Drive) remain as the redevelopment of the property officially begins. 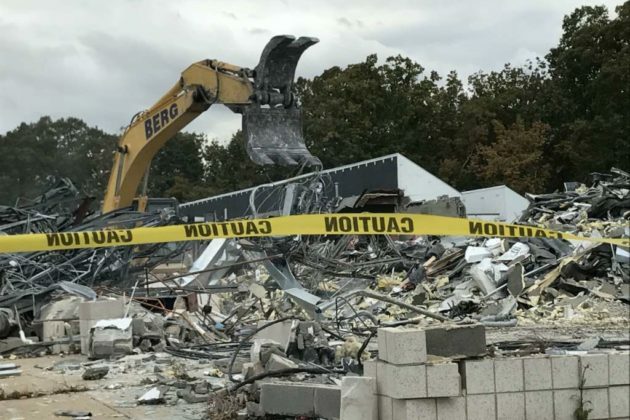 Demolition of the property, which will be redeveloped into a mixed-use project with 156 residential units, 8,500 square feet of retail and 6,000 square feet of office space, is nearly complete. Construction of the new homes is expected to begin in October and be completed by the end of 2021, according to estimates provided to Reston Now by the development team in September. 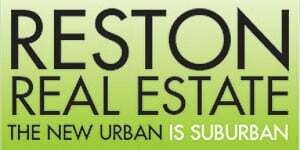 The development team, which includes Stanley Martin, the contract purchaser of the property, did not return requests for comment from Reston Now. Stanley Martin’s plan transforms the village center from a predominantly retail-heavy site to a small residential neighborhood with a strip of retail. The center has long struggled with a lack of visibility from the main street and the vacancies left by Giant Foods’ departure in 2007. The plan calls for 44 townhouses, 42 two-over-two townhouses and 70 multi-family units in two buildings. Recently, the Fairfax County Board of Supervisors is considering plans to reduce garage size requirements necessary to make the development team’s current plan work. Tall Oaks’ longtime challenges have been a location on a dead end and lack of visibility from the main street. Its longtime anchor tenant, Giant Foods, moved out in 2007 and vacancies have been mounting since. 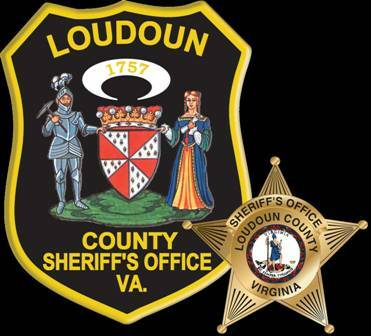 A fight between two men in a parking lot on the 45000 block of Waterview Plaza in Sterling resulted in an arrest on Oct. 27, according to the Loudoun County Sheriff’s Office. Michael, Nguyen, 43, of Herndon, was arrested and charged with obstruction of justice, disorderly conduct, and public intoxication. Law enforcement officials said Nguyen was fighting with another man in the area at around 9:30 p.m. When a sheriff’s deputy tried to stop the fight, Nguyen struggled with the deputy and continue to try to hit the victim again. Nguyen was released from the Loudoun County Adult Detention Center on an unsecured bond. In a separate incident, a drunk man was found lying on a dirt path near the 2000 block of Parkside Circle in Sterling on Oct. 27 at around 3:41 p.m., according to the LCSO. Nicholas Meekins, 35, of Reston, was arrested and charged with public intoxication. He was released from the Loudoun County Adult Detention Center on an unsecured bond. The Terry L. Smith Aquatics Center will be closed for renovations beginning in early January through October of next year, bringing two pools to the community. Ahead of the anticipated closure, Reston Community Center is offering some alternatives for current swimmers who use the facility. 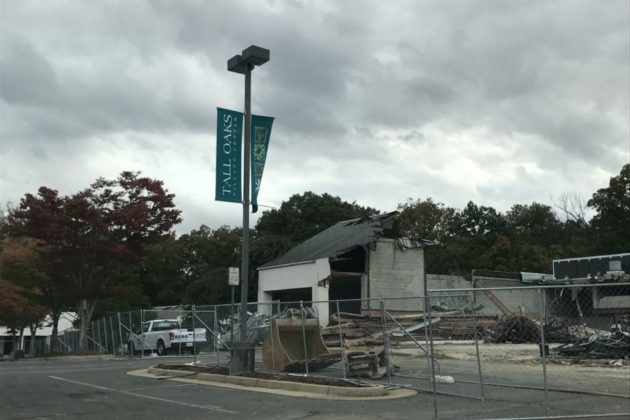 Fairfax County YMCA-Reston, Herndon Community Center and Reston Association will offer special pricing options during the construction period for RCC patrons. RCC patrons will receive a construction pass with the individual’s name and address, allowing pass holders to benefit from specific services provided by the partners. In order to receive the pass, patrons must complete a registration form. 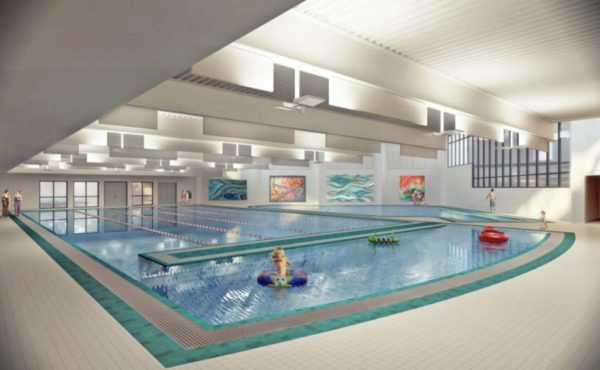 Payments to access facilities can be made at the partner facility and only provide access to facilities and the use of pools or fitness areas. More information about pricing is available online. 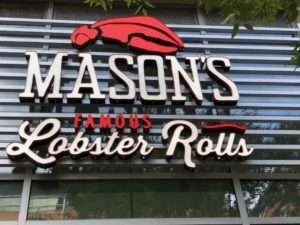 The soft opening of Mason’s Famous Lobsters in Reston Town Center has been delayed. 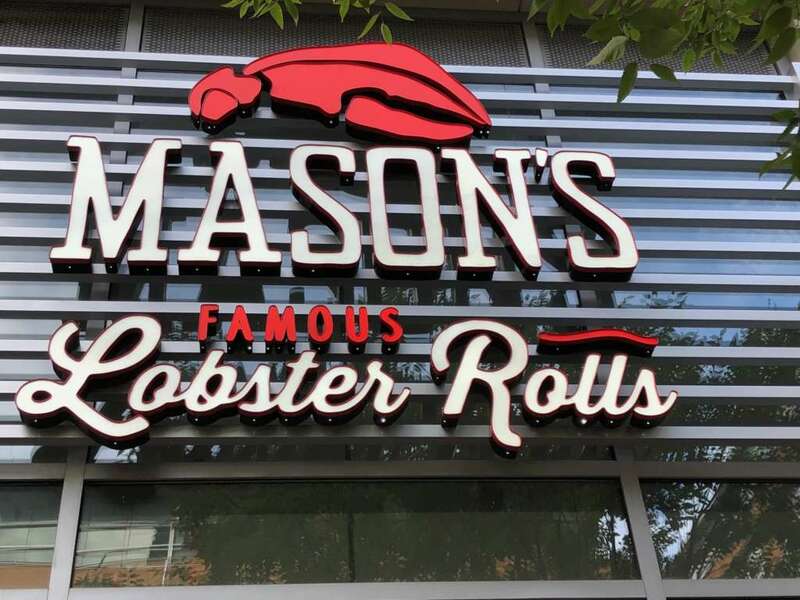 The Annapolis-based restaurant, which is opening its first Virginia location in RTC at 11939 Democracy Drive, will open within the next 10 days, said Malcolm and Kim Gilbreath, the Reston couple runs the Reston location. 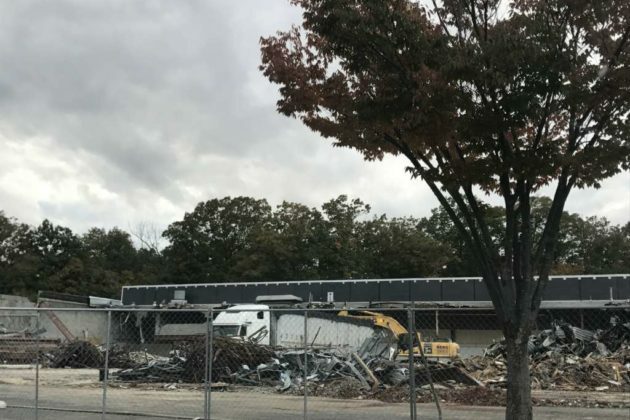 “The store is fully furnished and menu boards are mounted, but we are unable to serve customers until we receive all final approvals from Fairfax County,” Gilbreath said. So far, Gilbreath said there appears to be strong interest in the restaurant ahead of its opening. At RTC’s trick-or-treat event on Saturday, Gilbreath said several hundred people stopped by the restaurant ahead of the opening. An exact opening date has not been determined yet. 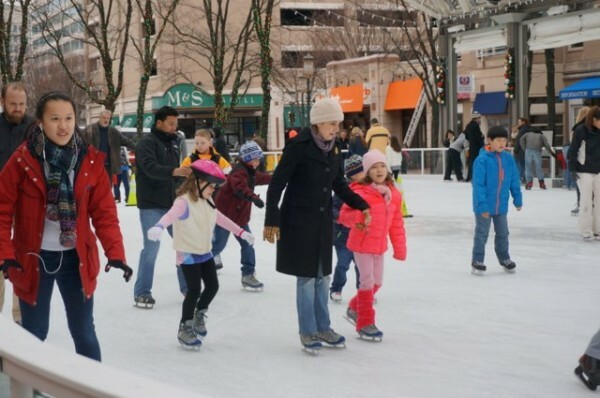 Reston Town Center’s ice skating pavilion will reopen for the season on November 9 (Friday). The season will end on March 10. The hours for the rink are as follows: 11 a.m. to 7 p.m. Sunday through Tuesday; 11 a.m. to 10 p.m. Wednesday and Thursday; and 11 a.m. to 11 p.m. on Friday and Saturday. Admission is $10 for adults and $9 for children 12 and under, senior citizens 55 and older, and military personnel. Skate rentals are $6. On Thursdays, college students can earn a $2 discount from 6 to 9 p.m., with a valid college ID. Skating events scheduled for the year include “Rock the Rink” on Fridays from 8-10 p.m. and “Cartoon Skate” on Saturdays from 11 a.m. to 1 p.m.
Skating lessons are offered on Saturdays from 9:30-10 a.m. and 10:15-10:45 a.m. Three sessions, each at a cost of $125, are available and more information is available online. Del. Ken Plum: Who Are You?